This is a database of Swagger 2.0 API Specifications the BitScoop Platform can use to generate API Maps. Curated Maps are BitScoop API Maps created and maintained by the community. Use and modify as you wish and contribute to our Open Source GitHub repository. Here is a list of official and generated SDKs and Tests that can be used to connect to the BitScoop Platform. This is the official node.js library for calling the BitScoop API. Supports Node 6.0 and up. Create sofware using any Node package or framework. Works with code as a service platforms like AWS Lambda, Azure Cloud Functions, IBM’s OpenWhisk, and Google Cloud Functions. This is the official Python library for calling the BitScoop API. Code using any Python package. Works with code as a service platforms like AWS Lambda. Pairs well with Python data science libraries like Jupyter notebook, TensorFlow, Pandas, Numba, and Matplotlib. You can generate an SDK in many languages for the BitScoop Platform using a variety of 3rd party services. First download the Swagger specification files for the API Provider Maps you wish to use. Then import these Swagger specification files into the SDK generation tool of your choice. APIMATIC is a premium service that can generate customizable SDKs from a variety of API description standards. APIMATIC also includes CI / CD Tools Integration, Git Deployment, Test Case Generation, and Generated Docs. Use APIMATIC DX Kits to consolidate millions of API endpoints into simple SDKs with APIMATIC’s Code-Gen As A Service. Need to import or export an API Description in a format other than Swagger 2.0? Use APIMATIC Transformer. Swagger Codegen is an Open Source project and Public API that can generate customizable SDKs from the Swagger 2.0 API description standard. Swagger Codegen also includes Test Case Generation and Generated Docs. SDKs are generated through their API endpoint or using a command line utility. SDK Languages are supported through a variety of open source templates. Test and Monitor any API through the BitScoop Platform or directly using Postman. Postman Collections are test cases for API endpoins and calls. The BitScoop Platform automatically generates Postman Collections for any API Map. Postman Monitors allow for scheduling Postman Collection Tests to run on an automated schedule with team alerts. Here is a list of Open Sorce Projects and Demos built by our team and the community. Feel free to use these projects as starting places for creating software or data science projects on the BitScoop Platform. Create a complete and scalable app platform with ease using the BitScoop platform. Tie together APIs and Microservices to turbocharge your app with thousands of data sources and services. 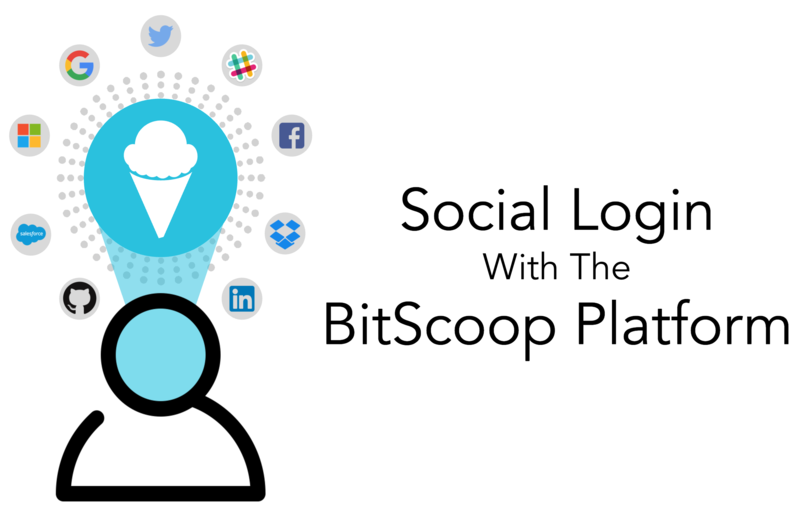 Make Signup and Login a breeze using any service with BitScoop Social Login. Connect accounts and explore user data now. Easily add Social Login to your software and site with the BitScoop platform to delight your users, customize experiences with our data tools, and remove friction to greatly increase user acquisition. Create amazing Amazon Alexa skills with ease using the BitScoop platform. Tie together APIs and Microservices to turbocharge Alexa. 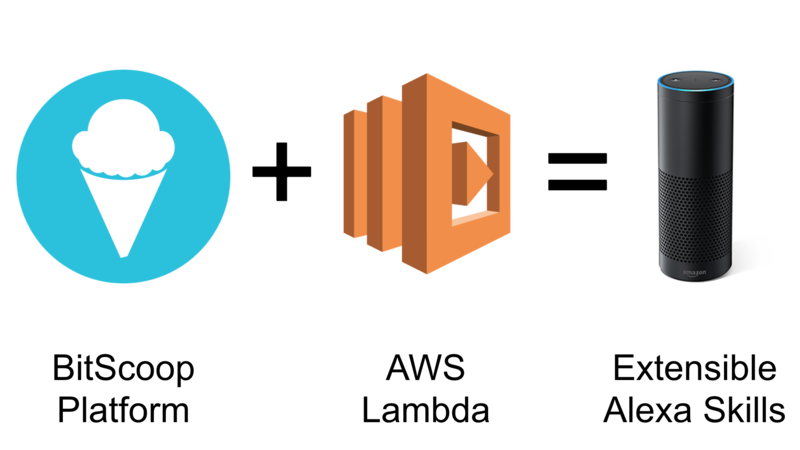 Do data science with AWS Lambda, big data storage, visualization tools, and the BitScoop platform. Connect to more data with less effort. Quick 5 minute introduction to basic features. This demo uses Postman, our favorite API Testing Suite. Dive into more powerful features and gain a deeper understand of how it works. To run demo you need to set up local development environment using Ngrok, Node, and Postman. Using Ngrok demonstrates the data flow as you are making calls.